A good lawyer should be experienced, accessible, responsive and fully dedicated to your case. Because I am a solo practitioner, my clients receive personalized legal representation. I will spend a significant amount of time with you, answering your questions, helping you understand the process and accompanying you to court proceedings. I bring more than 10 years of experience to my clients' work. Many of my clients are referred to me by past satisfied clients. I believe this is a testament to my client-centered approach. I value forming lasting relationships, and I work hard to achieve the best possible results for each and every client. Jason Karavias, Esq. 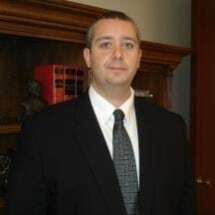 provides personalized legal representation and advice to his clients in Family Immigration and Chapter 7 Bankruptcy cases.